Product prices and availability are accurate as of 2019-04-25 01:32:21 UTC and are subject to change. Any price and availability information displayed on http://www.amazon.com/ at the time of purchase will apply to the purchase of this product. The Study Guide to DSM-5[trademark] is an indispensable instructional supplement to the Diagnostic and Statistical Manual of Mental Disorders, Fifth Edition. 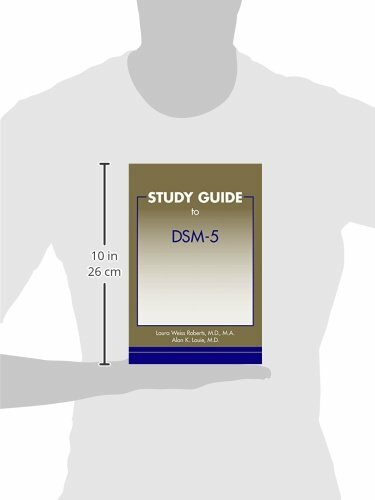 The Study Guide is intended to assist readers in understanding diagnostic criteria and concepts from DSM-5[trademark], as well as how to apply them. Diagnostic categories are made straightforward with learning objectives, an overview narrative, diagnostic pearls, and summary discussion. Then, under the diagnostic category, the reader will find in-depth sections for key diagnoses on "Approach to the Diagnosis," "Getting the Diagnosis," "Diagnostic Variations," "Epidemiology," and "Differential Diagnosis," complemented by user-friendly diagnostic tips, case vignettes, tables, and summary bullets. Lastly, self-assessment questions, a checklist of key concepts, questions to discuss with colleagues and mentors, case-based question sets, and recommended readings will help readers visualize diagnostic categories as they naturally occur in multidimensional, clinically complex scenarios and teach the diagnostic criteria in a practical, comprehensive, and memorable way. 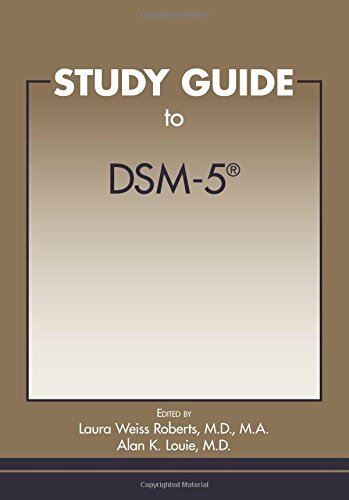 The Study Guide to DSM-5[trademark] is written by recognized leaders in academic psychiatry who provide their expertise in helping the reader to understand how criteria, as words in a manual, come together in the real-life experience of patients. Experts across clinical areas and learners were engaged to help ensure attunement to learner concerns in the book's development. 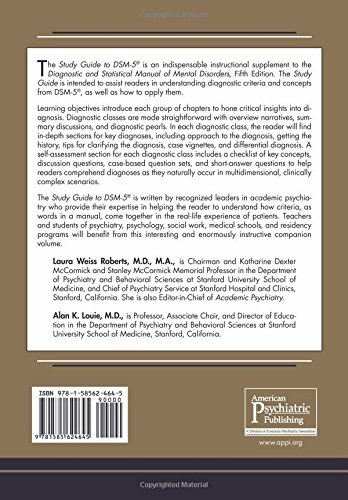 Teachers and students of psychology, psychiatry, social work, medical schools, and residency programs will benefit from this interesting and enormously instructive companion volume.